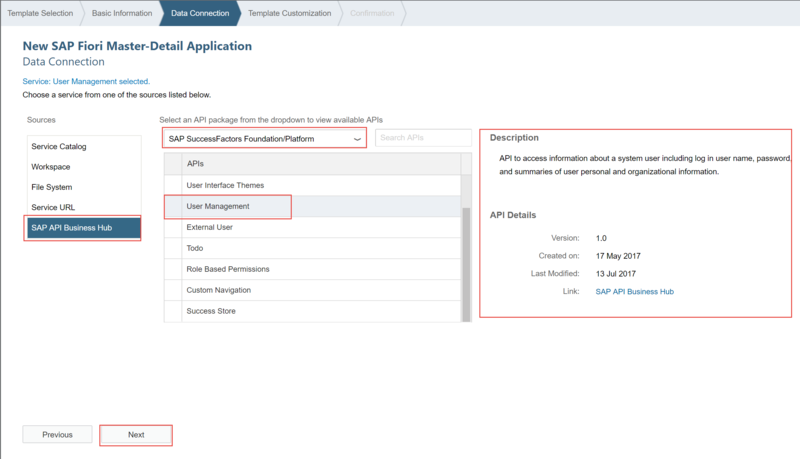 In this blog series, i want to focus on how you can use SuccessFactors API’s from SAP API HUB as an end point URL to create sample extension application just for learning purposes. 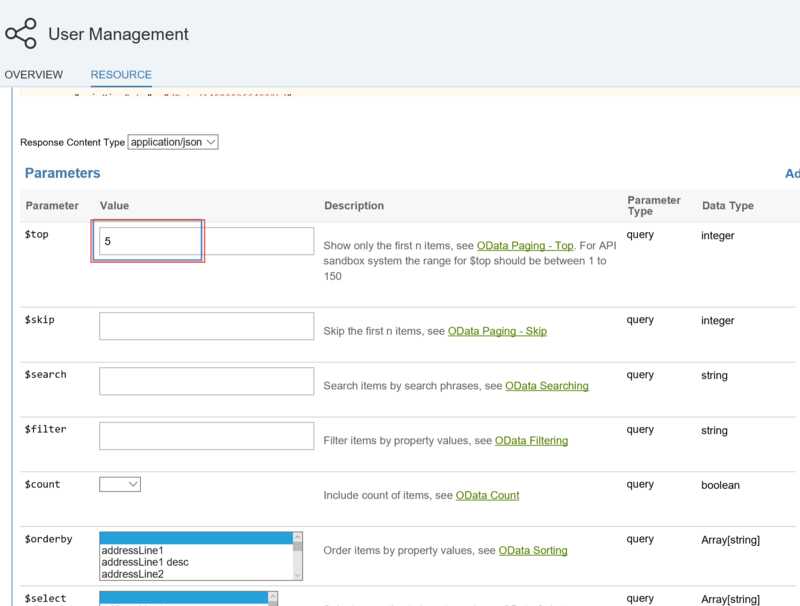 The whole idea is showcase how you can develop extension application on SAP Cloud Platform trial account consuming OData API’s from SAP API HUB. Especially when you don’t have access to SuccessFactors instance to quickly create some sample application for learning purposes. This blog series is in continuation of what my Colleague Murali Shanmugham has already written to create HTML5 based SuccessFactors extension application blog series . With focus on developing extension application on extension account paired with you company SuccessFactors instance. Note:- The SAP API Business Hub provides an API Sandbox to try out APIs. The API Sandbox is intended solely for evaluation purposes and should not be relied on for any productive use. If you plan to do all these steps, you need to have access to a SAP Cloud Platform trial account. Note:- SAP Cloud Platform trial account is not suited for productive extension development. It should be only used only for learning purposes. SAP API Business Hub is the central catalog of all SAP and partner APIs for developers to build sample apps, extensions and open integrations with SAP. You will notice that all the SuccessFactors API’s grouped under respective modules. 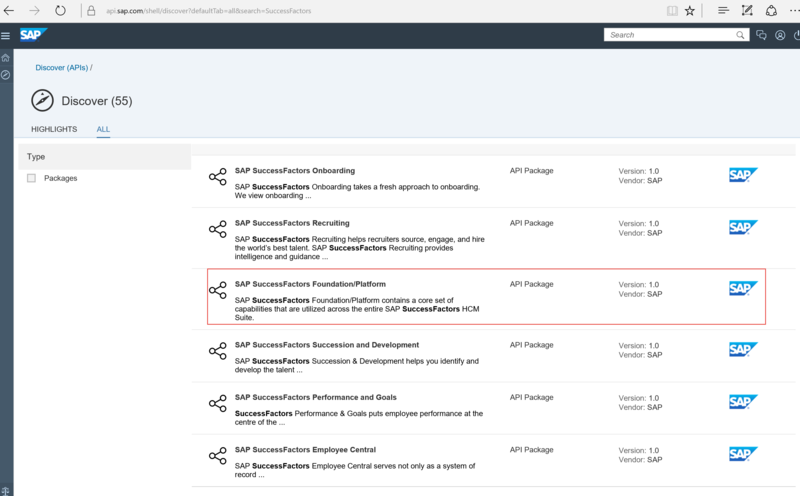 Let’s try to explore few API’s under SucccessFactors Foundation/Platform which contains a core set of capabilities that are utilized across the entire SAP SuccessFactors HCM Suite. Let’s look at User API to access information about a system user including log in user name, password, and summaries of user personal and organizational entites. We are going to use USER API to build sample HTML5 application on SAP Cloud platform trial account. Try out USER API by setting various parameters as shown. It is always better to explore API before you start development. Assuming that the USER API meets all of out requirement, let’s proceed to next step to build sample prototype with SAP API HUB as end point URL for SuccessFactors OData API. Logon to SAP Cloud Platform trial account. Click here to sign-up for free SAP Cloud Platform trial account. 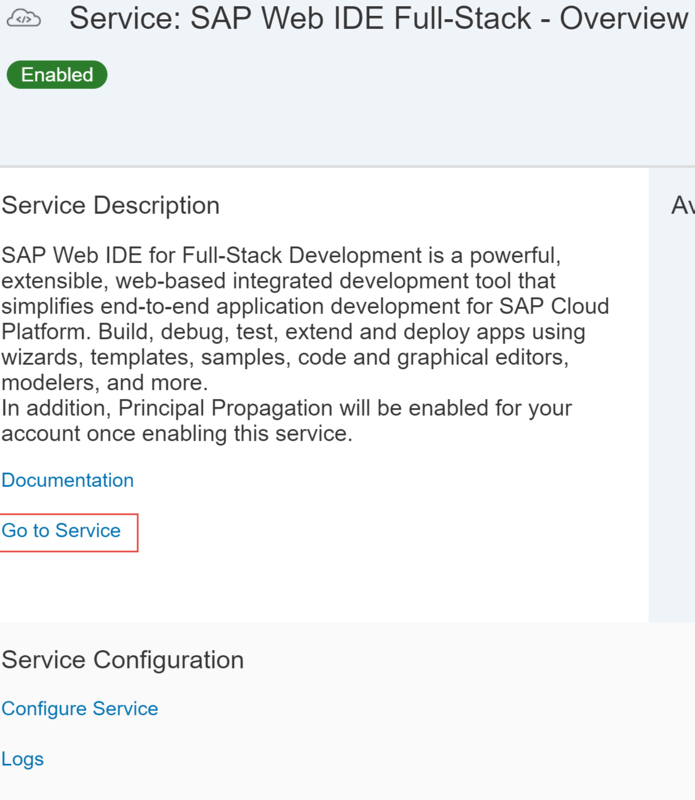 Logon to SAP Cloud Platform trial account and navigate to Service’s tab, search for WEB IDE and select SAP Web IDE Full-Stack. 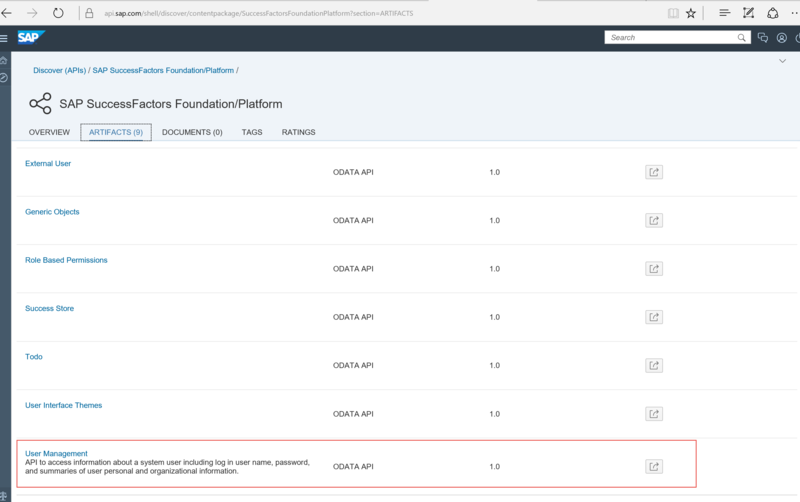 Note:- If SAP Web IDE Full-Stack is not enabled, go head and activate it.The reason, we use SAP Web IDE Full-Stack is because it allows to use SAP API HUB as a Data source to consume SuccessFactors OData. 2. Click on, Go to Service. 3. 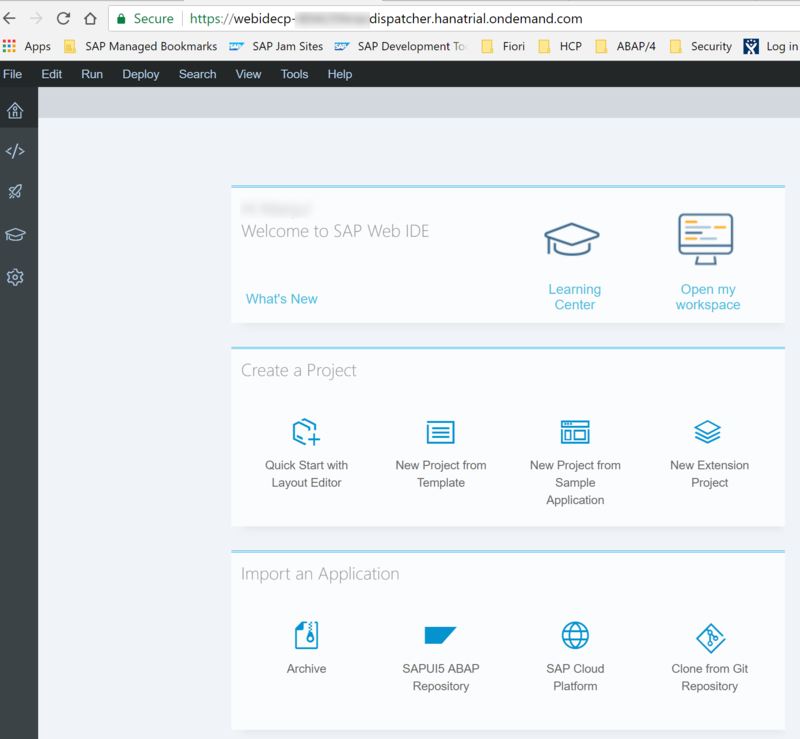 You will see SAP WEB IDE initial screen. 7. 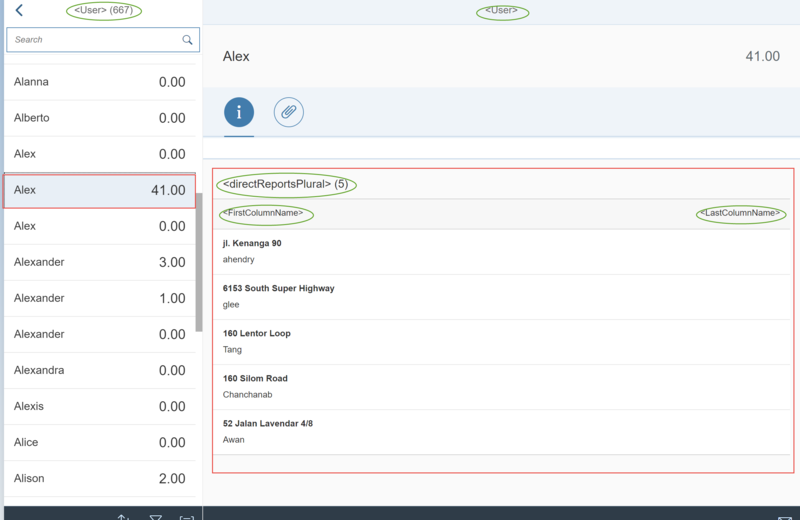 On the Data Connection tab, select SAP API Business Hub as a source for OData service, select SAP SuccessFactors Foundation/Platform as API package from the dropdown and User management API from the list of API’s. Finally click on Next button. 8. Fill out details as shown below for Application Settings, Data Binding – Object and Data Binding – Line Item sections. 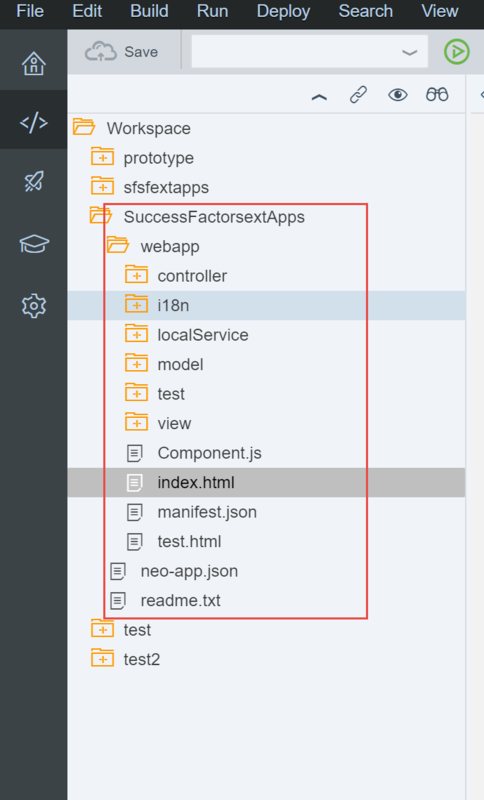 Finally click on Next or Finish button to complete the template wizard.Basically, we are settings all the fields that needs to be displayed on master and details tabs of the template. On the left hand of the list display user details and users direct reports on the detail screen. 9. Sample App is created under WEB IDE Work space. Select Index.html, if prompted for selection from the dialog box. 12. 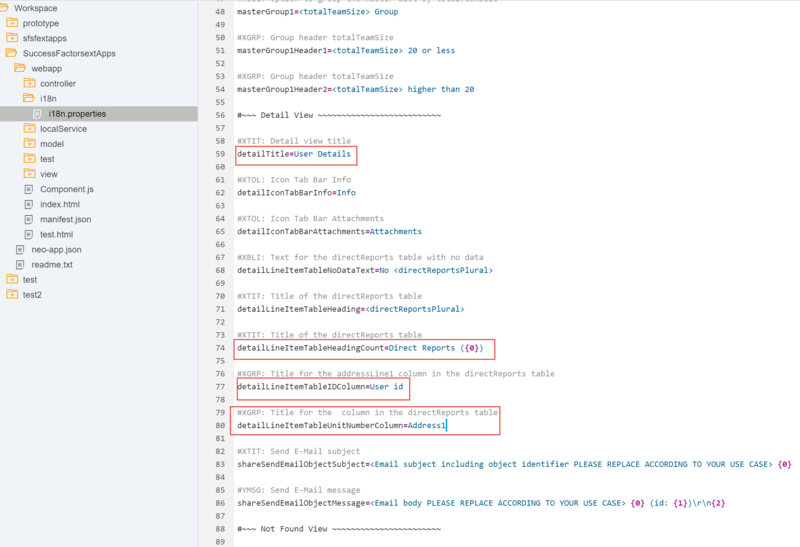 You will notice that some of the column labels, title for master and detail screen are not set. edit i18n.properties file under webapp/i18n folder and change field labels as highlighted below. Save the changes and re-run the application to check the label changes. 13. Deploying the sample extension application to SAP Cloud Platform trial account will not work as it is without making changes to extension application which is not the focus of this blog. 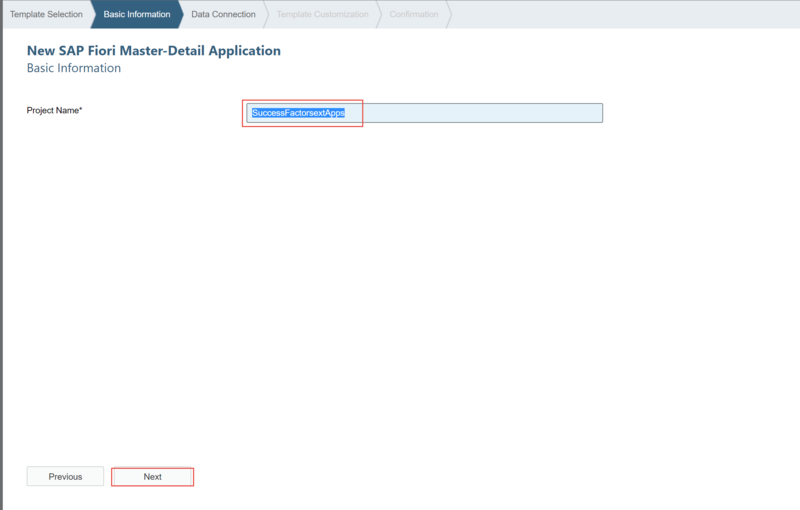 It is always recommended to connect to SAP SuccessFactors instance before deploying application to SAP Cloud Platform account. 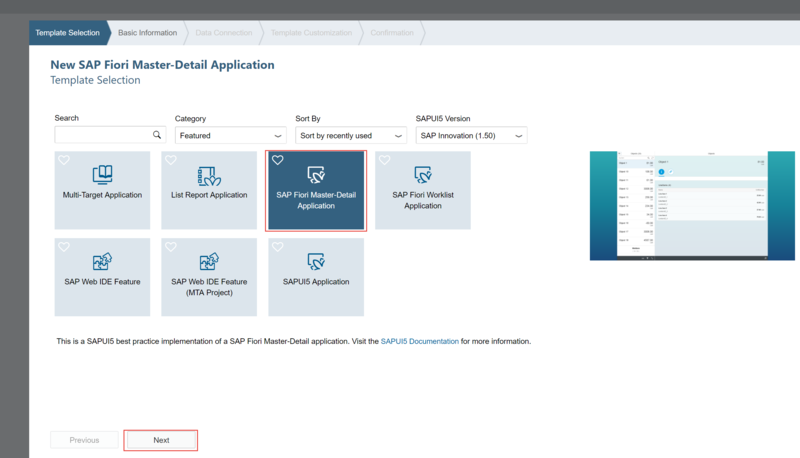 Follow this blog on how use API Management service to replace extension application built using SAP API HUB with that of SuccessFactors instance. Motive behind this blog was to showcase how to use SAP API HUB for SuccessFactors extension application development for learning when you don’t have access to SAP SuccessFactors instance. This approach is not recommend for any productive application development. Extension application development for SuccessFactors is no different from any other LOB or on-premise SAP solution extension but when you use extension package for SuccessFactors, it offers lot of advantages. That is Extensibility Foundation provides you with the tools to setup and manage the integration between SAP Cloud Platform and SAP SuccessFactors. 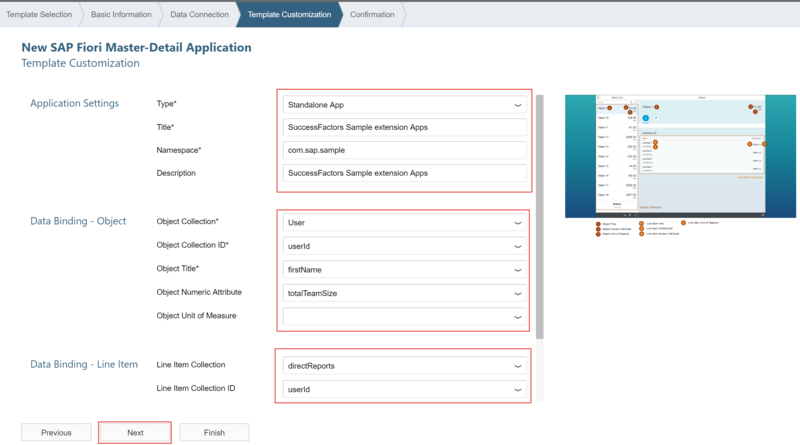 Using SuccessFactors provisioning, you can trigger the automated configuration procedure for SAP Cloud Platform extension package for SAP SuccessFactors, and thus creates an SAP Cloud Platform subaccount, configures security settings and integrated extension management. Go through this blog to get understanding of Success-factors application development on SAP Cloud Platform. 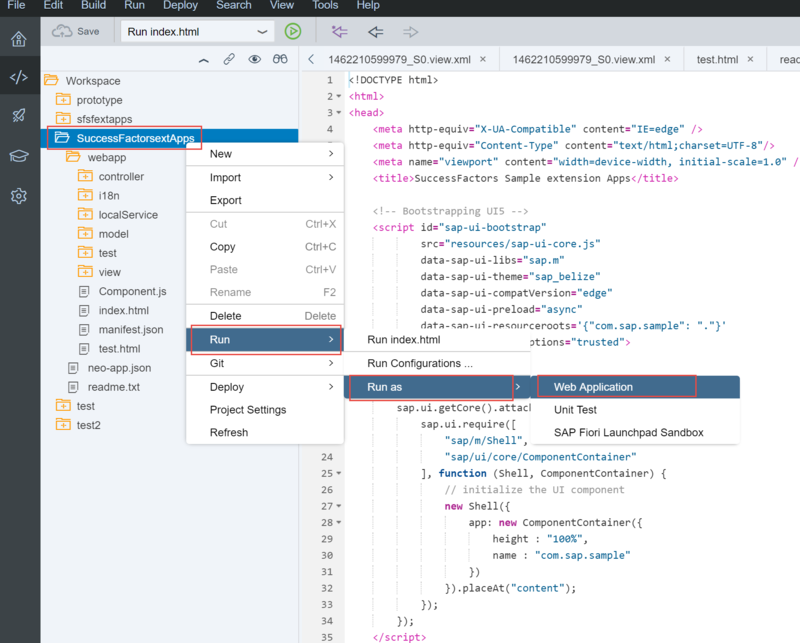 Go through this blog to learn how to deploy HTML5 application development on SAP Cloud Platform trial account using SAP SuccessFactors instance. Go through this blog to learn more about HTML5 application development on SAP Cloud Platform productive account paired SAP SuccessFactors instance.